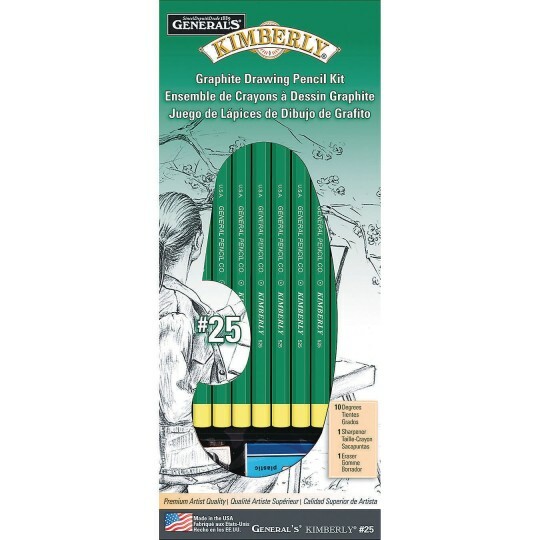 The ideal set for art, graphic design, and technical drawing for artists of all ages. Sketching with the extra smooth graphite pencils will achieve a wide range of tonal values. Includes ten pre-sharpened drawing pencils: 8B, 6B, 4B, 3B, 2B, B, HB, F, 2H, and 4H plus sharpener and eraser. Made in USA.